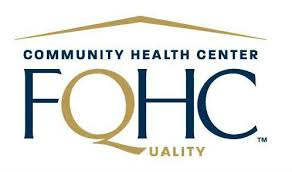 We are proud to be included in the FQHC national family and are excited about the opportunity and resources available to deliver much needed healthcare to the residents of the Morongo Basin regardless of their ability to pay. The Morongo Basin Community Health Center is a service of the Morongo Basin Healthcare District. The Morongo Basin Healthcare District is a special hospital district created by the state of California to access locally-controlled funds to meet health needs of the rural population in the Morongo Basin. Formerly known as Hi-Desert Memorial Health Care District, its defined area encompasses 1,800 square miles, from Pioneer Town to Wonder Valley, from Johnson Valley to the Joshua Tree National Park. District services include the LIFT Transportation Services which provides no-fee transportation within the Basin for health related appointments. The National Health Service Corps (NHSC) is part of the United States Department of Health and Human Services, division of Health Resources and Services Administration, Bureau of Clinician Recruitment and Service. Members are health professionals providing primary health care services in underserved communities since 1972. In exchange, the providers are given either loan repayment or scholarship throughout their medical education (not to exceed four years). After school (and residency for medical, osteopathic medical, and dental students) the student must apply for pre-approved positions in underserved areas. Hi-Desert Family Health Clinics qualifies as an NHSC employer. The Office of Family Planning (OFP) is charged by the California Legislature “to make available to citizens of the State who are of childbearing age comprehensive medical knowledge, assistance, and services relating to the planning of families”. The purpose of family planning is to provide women and men a means by which they decide for themselves the number, timing, and spacing of their children.